Celebrity brand endorsements are pretty common these days. But there was a time when they were quite rare. People used to remember the ad for the star. Let’s take a look at some of these forgotten ads that were popular in when they were aired. 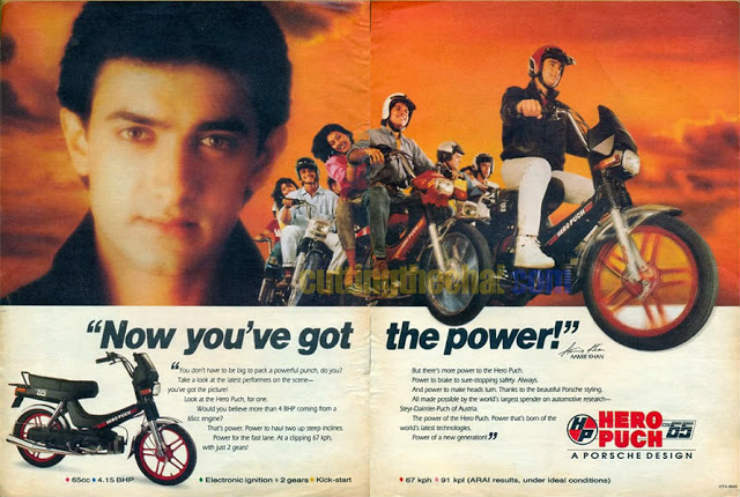 Hrithik Roshan was very young at the time he became the brand ambassador for Hero Honda. 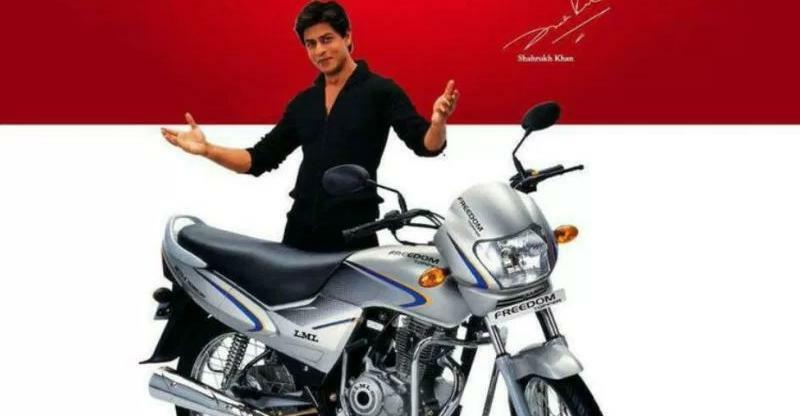 Among the various models he endorsed for the company, the most famous was the Hero Honda Karizma. It was the fastest affordable motorcycle on the Indian roads at that time. 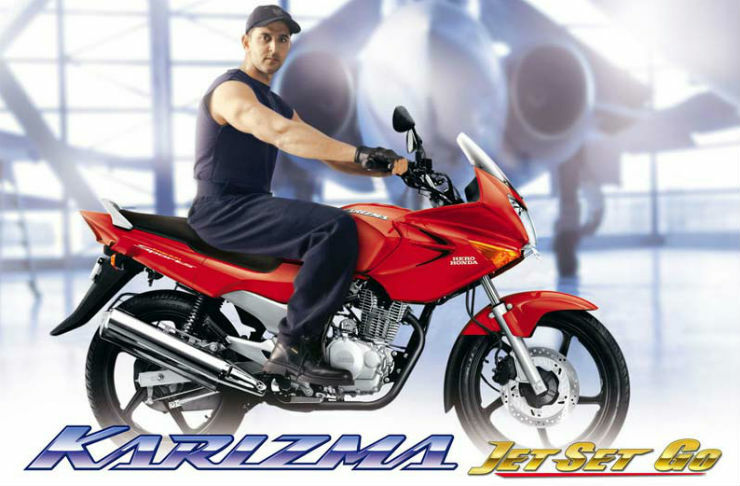 Hrithik endorsed the tagline “Jet Set Go” effortlessly and the ad showcased the speed and power of Karizma. It was the favorite bike of young people, of its time. The Karizma was powered by a 223-cc, 17-BHP, single-cylinder engine, which was a lot during old days. Shah Rukh Khan has been associated with automotive advertisements for quite a long time. He also endorsed the LML Freedom which is best known for the numerous colours it used to come in. He was picked by LML to endorse the bike in its initial launch stage only. Shahrukh Khan was also promoting his movie “Main Hoon Na!” during the campaign with LML Freedom, which can be seen at the end of the ad. This commuter bike was one of the favourites during its time in India because of its good looks and punchy engine. 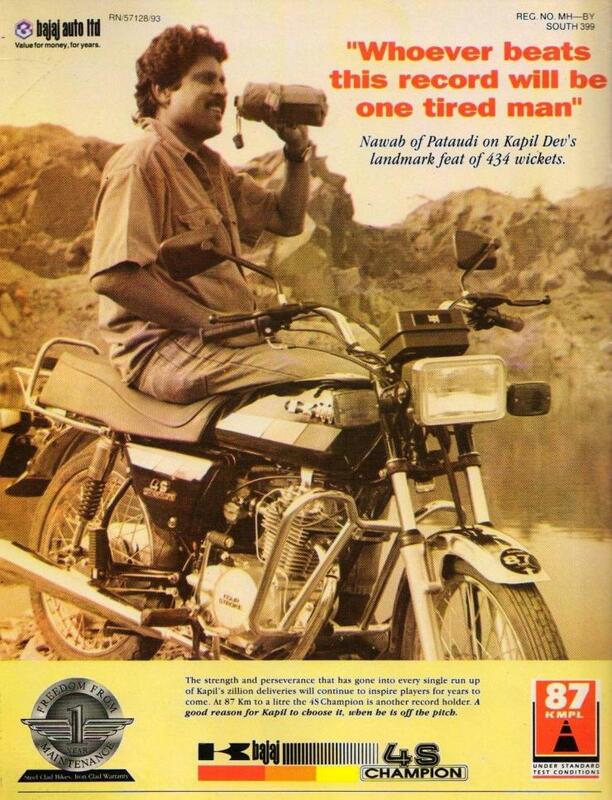 Feroz Khan with his cowboy-ish charm did an ad for this lesser-known motorcycle. 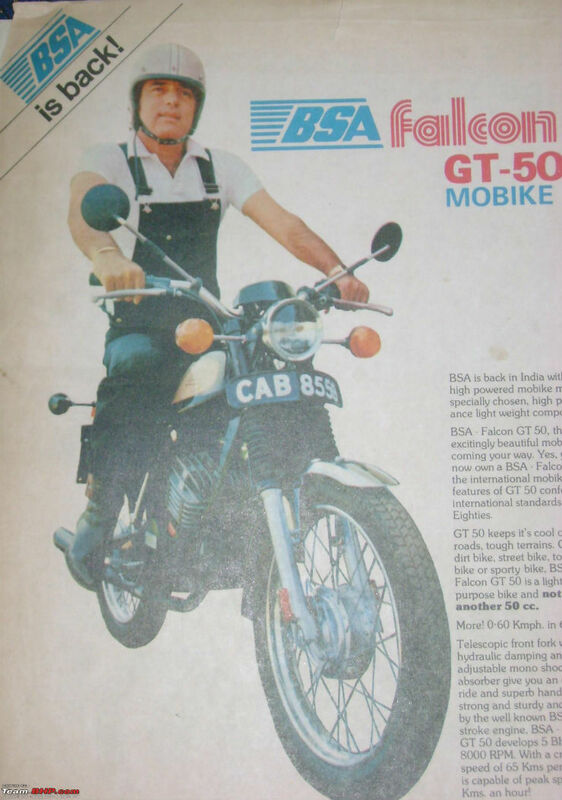 Feroz during his young days endorsed the BSA Falcon GT-50, a two-stroke bike. This motorcycle was powered by a 49.93-cc Motomorini engine with a 4-speed gearbox. The two-stroke engine generated a maximum power of 4.6 BHP and weighed 71 kg. Many collectors still have the Falcon in their garage and its quite a collectible now. Milind Soman is one of the finest models of his generation and with those smoldering looks, he dazzles even now. Royal Enfield then rightly chose him for endorsing the Classic 350 in 2010. The Royal Enfield introduced a new single-seat model of the motorcycle, which Milind endorsed through various print ads. However, the ad doesn’t seem to be remembered by many. But both Milind and Classic 350 seems to be going strong in their respective fields. Dino Morea was quite famous during the early 2000s. The model-turned-actor along with Lara Dutta endorsed the first generation of CBZ in India. Both the celebrities featured together in the ad. The Hero Honda CBZ can be said to have kick-started the affordable performance motorcycles segment in India. Even the Pulsar brand was launched later than CBZ in India, and the bike still has many loyal followers in the country. The Bajaj Sunny was a small-capacity scooter that was introduced in 1990 and was primarily targeted at young people. 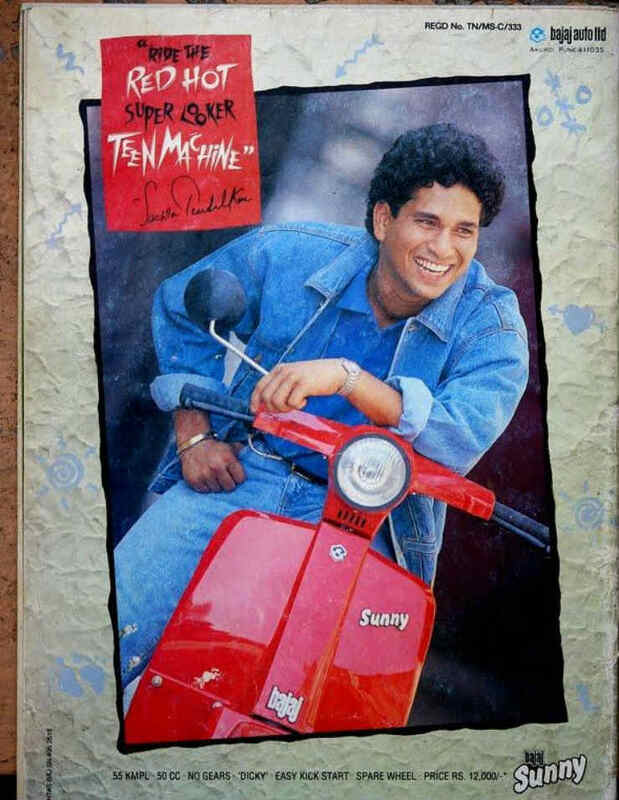 What made it special though was the fact it was endorsed by none other than our own Master Blaster Sachin Tendulkar himself. It was powered by a 50-cc 2-stroke engine churning out 2.8 Bhp. With a tag line of ‘Ride the red hot super looker teen machine’, Bajaj had its target base set. This popular moped was actually developed by Hero in collaboration with the Austrian company ‘Puch’ and therefore it got that name. For its advertisement, Hero roped in famous actor Aamir Khan. The moped used a 64-cc engine to make 4.15 Bhp. It was made available with 4 variants, an automatic, a 2-speed, a 3-speed and a sporty version called Turbo. It’s tag line was ‘Now you’ve got the power’. You must have heard the famous tagline, ‘Fill it, Shut it, Forget it’. Well, it was first used on CD 100. 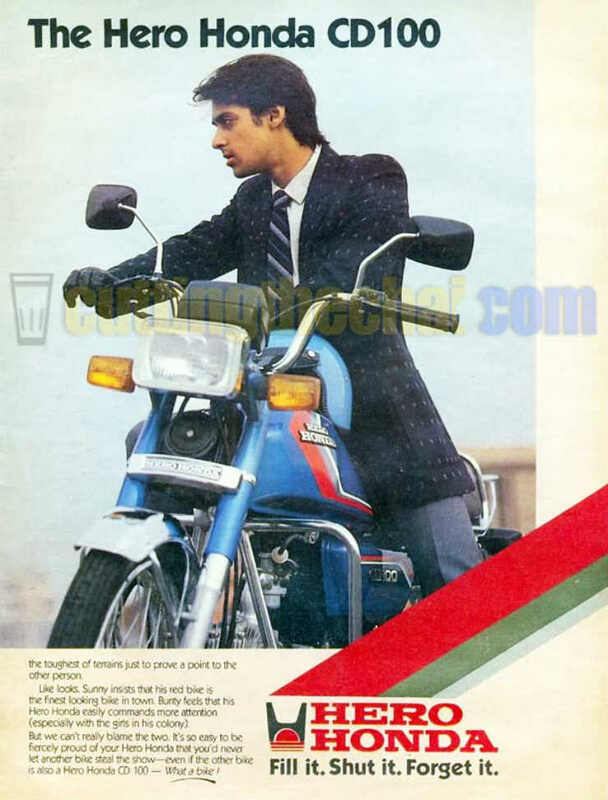 The bike was launched in 1985 and Salman Khan endorsed it. Both of them don’t need any introduction as both are well known in their respective fields. The CD 100 was a very successful product. Powering the bike is a 97-cc 4-stroke engine giving out 7.4 Bhp and 7.2 Nm. Bajaj brought the Champion 4S on to our shores in collaboration with Kawasaki. The bike did fairly well during its lifetime. It was made popular initially by its ad, which featured the World Cup-wining Indian captain Kapil Dev. He was chosen as the brand ambassador for the Bajaj Champion 4S. It was powered by a 100-cc Kawasaki engine with R.A.C.E technology. The bike had an output of 7 Bhp and 8.1 Nm. 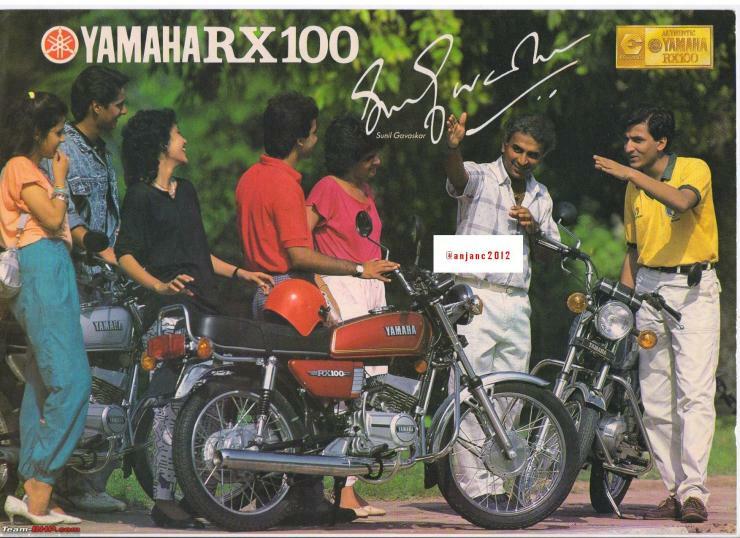 Both Sunil Gavaskar and the RX 100 are cult figures in our country. Yamaha chose the ‘Little Master’ as the brand endorser for the bike. The RX 100 was the fastest accelerating 100-cc bike of its time and is still known as one of the best light and fun bikes around. It had a 98-cc 2-stroke engine making 11 Bhp and 10.6 Nm. It is now a collector’s pride and sells for quite a high price when available in the market.